Mother’s day is fast approaching. Have you thought about what to give your mom yet? If you haven’t decided on anything, here’s a little guide that might help you out. Store-bought flowers can be very expensive. So why not pick flowers from your own yard and do the arrangement yourself? Trust us, your mom would love it. You can check out videos in Youtube to make flower arrangement an easy task. But if you do decide that you need actual lessons, you can always join the FREE flower arrangement workshop at Primavera Residences this May 24, 3pm at the 3/f indoor courtyard. 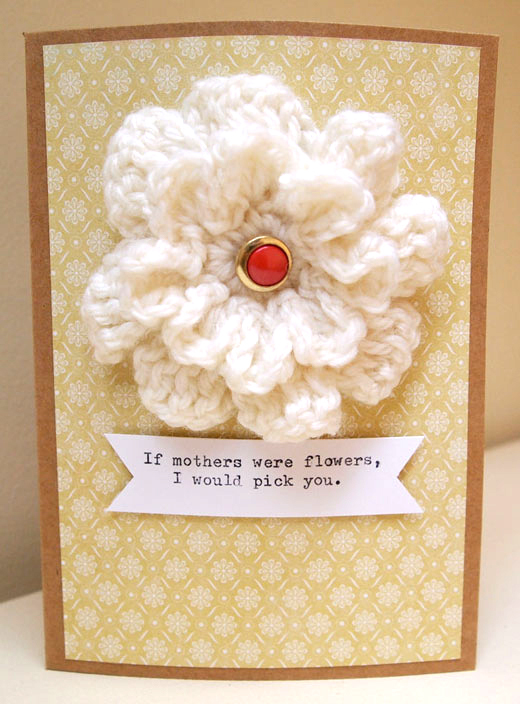 Do-it-yourself cards are not only cute and personalized, your mom is sure to appreciate the efforts you put in to create one for her. And of course, it won’t burn a hole in your pocket. Win-win for everyone! If you’re not the creative type, you can find awesome card ideas online. You know what will make your mom grin from ear to ear? A sparkling clean bathroom and a tidy bedroom, that’s what! So why not give her a bunch of redeemable coupons for Mother’s day? 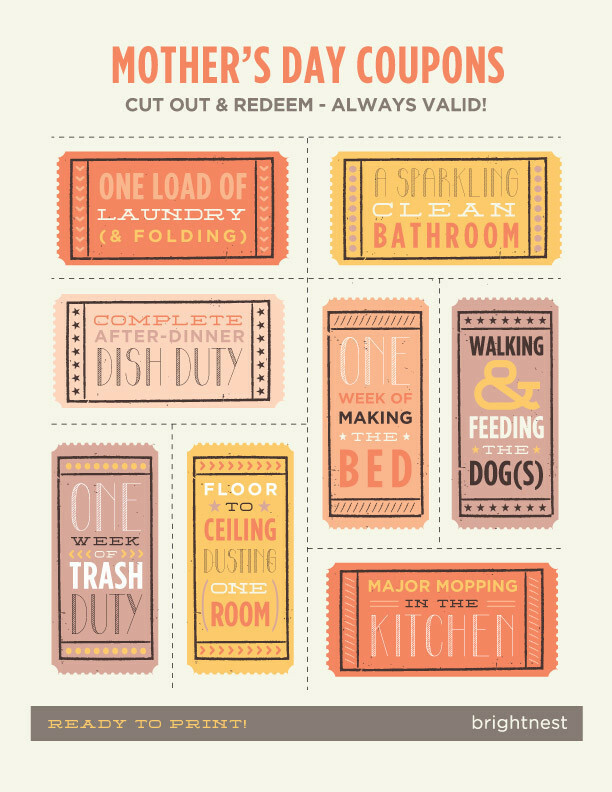 All you have to do is cut out the coupons from this page and make mom happy instantly! She has always done the cooking for you and your whole family. Isn’t it time to return the favor on Mother’s Day? Cook her favorite dish for her and amaze her with your culinary skills. You can even bring her breakfast in bed to make it even more special! You can bake a gorgeous cake too if you know how to bake. That’s major brownie points for you! 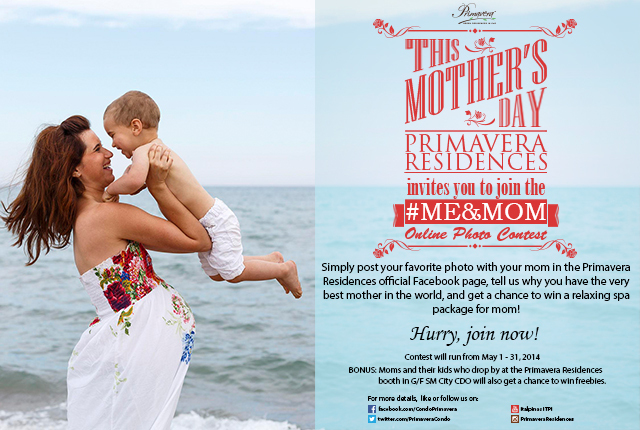 Join Mother’s Day contests such as Primavera Residences’ Me&Mom online photo contest and get a chance to win a special spa package for your mom! All you need to do is post your favorite photo with your mother and tell us in the caption why you think you have the best mother in the world. Your mom sure deserves a pampering treat, and what better way to do this than by telling the whole world that she’s the best there is? 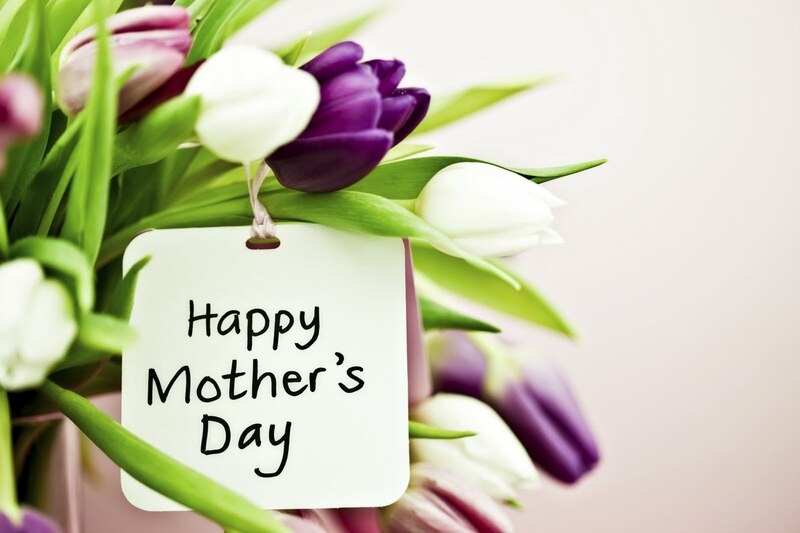 Mother’s Day is a special day for moms everywhere. Make it even more special by giving her extra care and love that she deserves, not only on that day but everyday. For more information about Primavera Residences, the first and only eco-friendly condominium in Cagayan de Oro City, visit this link: www.primaveraresidences.com.